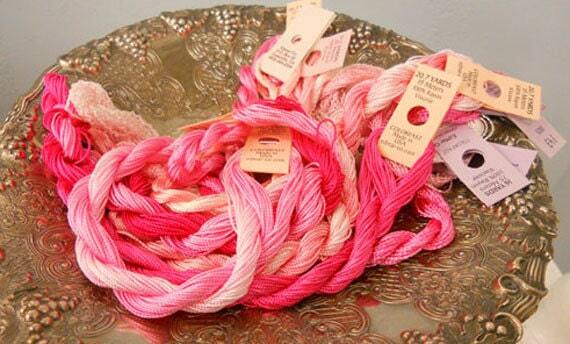 Cotton Candy Thread Pack of 10 skeins of Edmar Thread. Cotton Candy Thread Pack contains 10 skeins of thread of Edmar Thread. This grouping is all shades of pink. This listing is for the 10 skeins similar to picture 1. Thanks for all the Brazilian embroidery supplies. I am looking forward to returning to this craft (and art!) after many years away. Perfect Mother's Day gift for me.